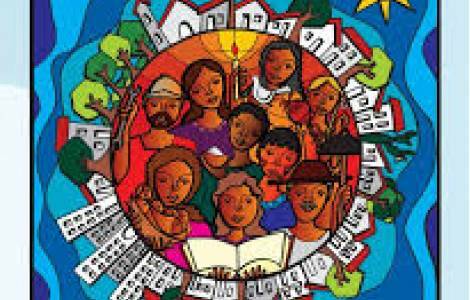 AMERICA/BRAZIL - Year of the Laity closes and lay mission in the society and civil participation begins. Brasilia (Agenzia Fides) - The Year of the Laity "has been a time of grace dedicated to reflection on the mission of lay Catholics not only among and with the laity but together with the whole Church ", and it will continue with more capillary and in depth formation , to help lay people to be active players in evangelization and the construction of a society more human, just and fraternal, conscious that they are " ecclesial and social subjects". Marilza Lopes Schuina, president National Laity Council of Brazil CNLB, syntheses for Fides in this way the Year lived by the Church in Brazil and closed with the solemnity of Christ the King (see Fides 11/11/2017 and 26/10/2017). At the regional, diocesan and parish, the local Church reflected in the role of the laity setting up new Laity Councils in dioceses and parishes where they did not exist, with the prospect of participation in life as citizens and public management. The CNLB chairperson admits that "lay activity is present mostly within pastoral service in the life of the Church, where it is not always acknowledged and has little say in decision-making ". Ms Schuina stresses the need for "more participation in pastoral and economic councils, in meetings and initiatives of an out-going Church , in which the laity have a major contribution to offer". "The laity are an ecclesial and social subject" continues Marilza Lopes Schuina, "which must work not only ad intra. Its mission is clear: to be a presence prophetic, priestly and regal" of the Church active in the social tissue. An enormous potential because the laity "is Church in ambits of society not reached by the clergy ". During the Year of the Laity, Marilza says, steps forward have been made in understanding the mission of the laity not limited to the celebrative aspect "but moving on to action". Important initiatives in this year have included the opening of 29 more Faith and Politics Schools , in addition to the 80 already present for the study of the Church’s Social Doctrine and its application in the activity of the laity, urged to become members of committees, district, cooperatives, unions, associations, Councils of Education and Health, political parties ... "The Pope insists on participation in these ambits" Marilza underlines, recalling that the field of politics is one of the most urgent . For the laity, "still too closed in the internal activity of church life", what is needed is “more awareness of being Christians” called to "give first place to the Gospel and defense of life in every sense ".